I have been feeling SO SO blah the last week or so. I think it's been the ridiculous heat we have been having!! As a result I haven't done any crafting in ages. I finally felt a bit better yesterday and decided to put another card together for a few challenges. I really enjoyed putting this one together. The adorable Magnolia image was stamped for me by a special friend in the Cape. Thanks!! 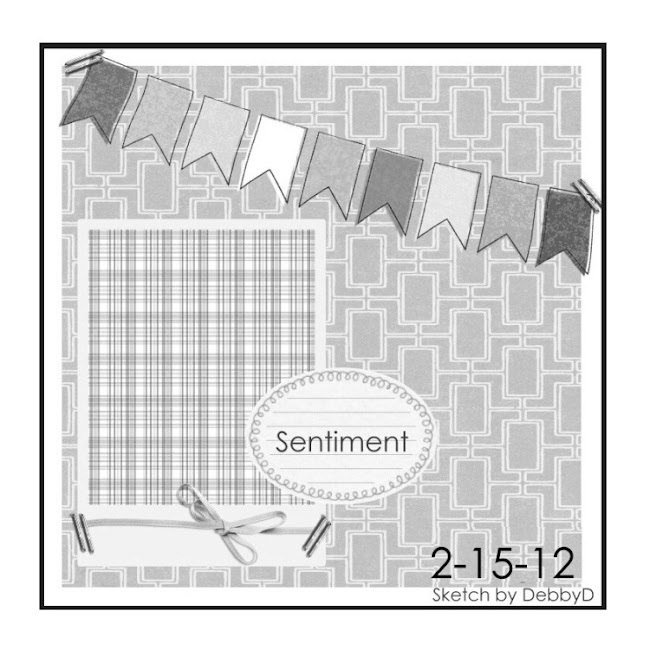 My card is also based on the latest card sketch from Let's Scrap, it's a nice one to work with!! This is so cute, love the colours and the bunting! Sorry to hear you've not been feeling so good. 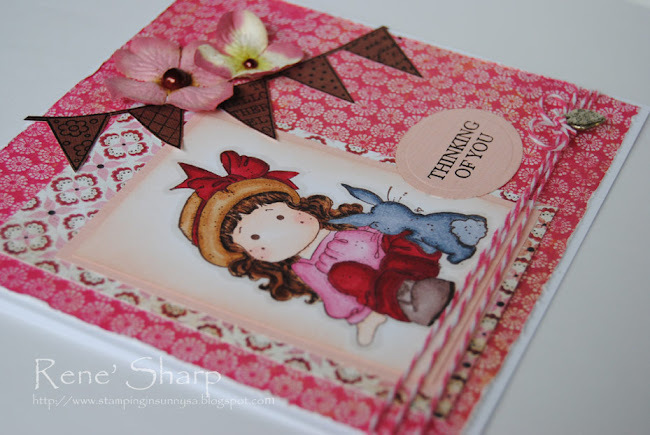 What a gorgeous card..love the bunting and the pinks! A lovely bright sunny card Renee, hope you soon feel better. Beautiful card Rene'! Thank you for joining in at CFAS "love is in the air" challenge! I am hoping your feel better soon! Sending hugs your way my friend! Oh this is simply lovely! great colours and details! thankyou so much for joining us this time over at totally tilda! this is really cute! Thank you so much for entering the Totally Tilda challenge and giving me the opportunity to visit your blog and admire your work. This is really cute! Love this!